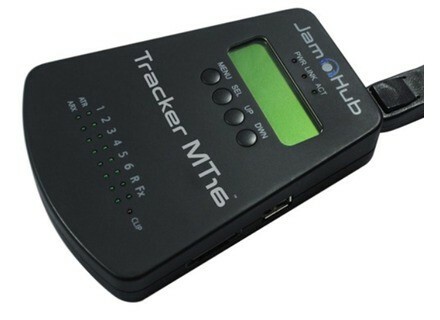 Tracker MT16, Pocket Recorder/Multitrack from JamHub. Despite its compact format that doesn’t exceed the size of a stompbox, the JamHub Track MT16 features 2 stereo inputs and 6 mono inputs on 1/4” jacks and you can also use a 16-channel breakout snake to connect the recorder to any mixing console or to the JamHub Studio (via the SoleMix cable) in order to capture the sound of 7 stereo channels. The Tracker MT16 features 24-bit converters and will created sessions organized in directories which features WAV files for each input. These sessions are stored onto an SD card. The captured signal is line-level and pre-fader so you can use the files for editing and mixing later on a computer. Note that the Tracker MT16 is also able to send the recording wirelessly to the BandLab cloud, so that members of the band or mixing engineer won’t have to wait for the SD card to start working. 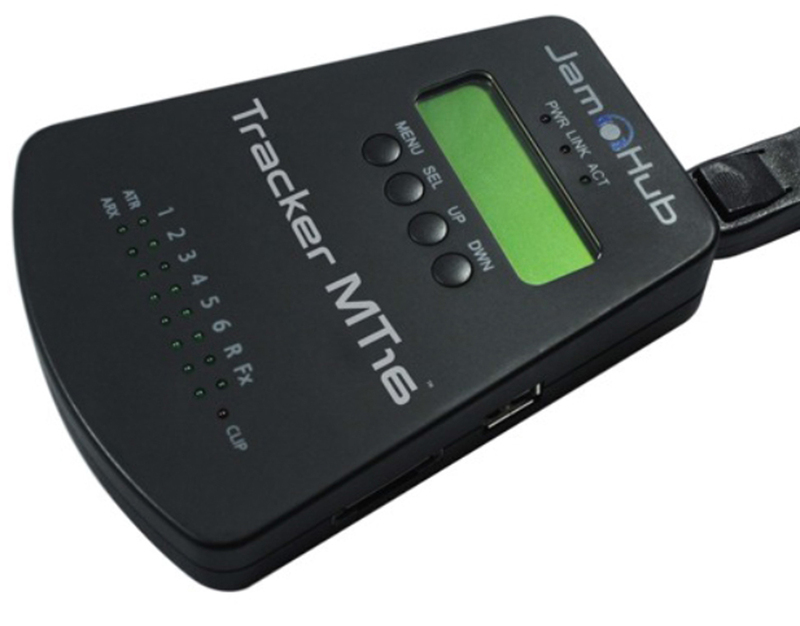 The jamHub Tracker MT16 should be released right after NAMM, its UK price is £349. More information at www.jamhub.com/trackermt16/. [NAMM] JZ Microphones launches a console strip JZ Microphones and SPL partnered in order to design the new JR Track console strip that will be introduced at Winter NAMM Show 2014. [NAMM] Unity Audio Pebble and Bam-Bam monitors Unity Audio will debut at Winter NAMM 2014 two new active monitors that can be combined for a 3-way home studio system. Lightning Boy launches a mega plate reverb If you love EMT-style plate reverbs, take a look at the new realization from Lightning Boy, but be careful, you’ll need a lot of space for it.